Pick Analysis: As a junior in 2014, he was the winner of the Biletnikoff Award, which goes to the nation's most outstanding receiver and was a finalist for the Heisman Trophy. He was a unanimous first-team All-American and was SEC Offensive Player of the Year. Led the nation in receptions (124) and finished second in yards (1,727) and touchdown receptions (16). Played in 40 games in his three-year Alabama career, starting 30 games and hauling in 31 touchdown receptions. Hampered by foot and toe injuries during sophomore season, but finished season with a flourish. He caught 15 passes for 299 yards in the final two games of the season, including a 99-yard touchdown reception. As a freshman in 2012, he earned consensus Freshman All-America honors. Following his senior season at Northwestern High School in Miami, Fla., Cooper shined in the Under Armour All-America Game where he had a 75-yard touchdown grab and a 93-yard punt return for a score. Was rated a top-50 prospect in the nation by Rivals. Published: April 30, 2015 at 08:42 p.m. The Oakland Raiders pick University of Alabama wide receiver Amari Cooper No. 4 in the 2015 NFL Draft. 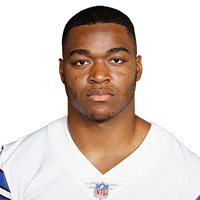 Published: April 30, 2015 at 09:09 p.m.
NFL Senior Fantasy Analyst Michael Fabiano discusses the fantasy outlook of Oakland Raiders wide receiver Amari Cooper. What separates Amari Cooper from Kevin White? Published: April 6, 2015 at 06:17 p.m.
Daniel Jeremiah and Brian Baldinger break down the differences between West Virginia wide receiver Kevin White and Alabama wide receiver Amari Cooper. Published: April 11, 2015 at 03:20 p.m.
Take a look at the college highlights of Alabama wide receiver Amari Cooper. Published: March 5, 2015 at 03:00 a.m. Check out some of Alabama wide receiver Amari Cooper's best plays from the 2015 Sugar Bowl against Ohio State. Published: Feb. 13, 2015 at 01:58 p.m.
Bucky Brooks takes a look at NFL prospect Amari Cooper and discusses which NFL player he compares best with. Published: Feb. 21, 2015 at 09:31 a.m.
Alabama wide receiver Amari Cooper goes through workouts at the 2015 NFL Scouting Combine. Published: Feb. 20, 2015 at 08:09 p.m.
Former Alabama wide receiver Amari Cooper talks about his playing style, what NFL player he models his game after and reveals one thing fans might not know about him while at the 2015 NFL Scouting Combine. Published: March 4, 2015 at 06:50 p.m. The "Path to the Draft" crew breaks down the pros and cons of two of the top wide receivers in the 2015 NFL Draft, Kevin White and Amari Cooper.